"Dreaming isn't tied to any one brain state," said Domhoff. "The issue is the level of brain activation. Dreams are imaginative but largely realistic simulations of waking life." "The best way to think about our capacity to dream is that it's an accidental byproduct of our waking cognitive abilities," said Domhoff. "Humans have invented uses for dreams in religious and healing rituals, which speaks to how central they are to human experience. But in an evolutionary sense, they don't serve a purpose." Domhoff's theory addresses many of the persistent mysteries of dreaming, including the preponderance of deeply personal subject matter in dreams, as well as developmental aspects of dreaming, and it provides the neurocognitive link between dreaming and "mind wandering," or daydreaming. Dreams originate in the same parts of the brain now known to be most active during mind wandering, according to Domhoff. Called the "default network," these areas become more dense and integrated between the ages of 8-15, when dreaming also becomes more frequent and dreams become more complex. 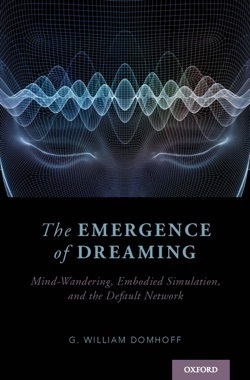 The transition to dreaming occurs in stages as we stop paying attention to the external world, according to Domhoff, whose theory integrates insights from neuroimaging studies of brain activity and the discovery of the "mind-wandering" network. First, the externally focused "central executive network" of the brain deactivates. Second, the attentional networks tamp down, including the vigilant salience network that is always poised to send "red alerts." Finally, as sensory networks screen out stimulation, imagery networks become stronger, and the mind begins to wander intensely. "It's like a symphony. It's very harmonious," said Domhoff. "As one network deactivates, and then another, the default network begins to ascend, just like when the strings come up or the horns begin to blare. When the default network is free to roam, that's when we dream." Humans spend 20 to 30 percent of their waking hours in this mind-drifting state, said Domhoff. Neurophysiologically, it's the same process that occurs during sleep, when sleep-inducing neurochemicals provide an additional boost. Awake or asleep, as the default network ascends, the power of the brain's imagery network transitions us from mind wandering to what researchers call "embodied simulation," during which vivid imagery can make dreamers feel a part of the action. "That’s what makes dreams feel so real," said Domhoff. "It's the same with daydreaming. Sometimes you can just feel it. The sense of being an embodied participant is what distinguishes dreaming from other forms of thought." During sleep, brain activation fluctuates up and down throughout the night. Arousal increases as morning approaches, and so does mind wandering or dreaming, according to numerous laboratory studies. Dreams are highly personal because the default network includes a big part of the "self network," added Domhoff. 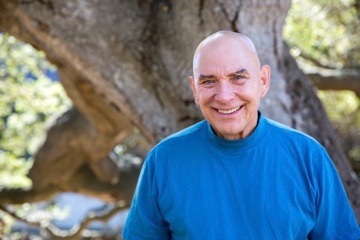 "We don't dream about politics or religion or economics," said Domhoff, whose previous books include The Scientific Study of Dreams, Finding Meaning in Dreams: A Quantitative Approach, and The Mystique of Dreams. "All around the world, dreams are dominated by personal concerns. More than 70 percent of dreams are personal—typically dramatized enactments of significant personal concerns about the past, present, and future." The frequency of a given topic reflects the intensity of that concern in the dreamer's life, said Domhoff. "Dreams are generated by this network with a strong self-network within it, coupled with the powerful imagery network," he said. "It's imagination run wild." Studies show that children don't dream often or with much complexity until they reach the ages of 9-11, said Domhoff, noting that some apparent nightmares in young children happen during "sleep terrors" that aren't dreams, or during awakening. "We only gradually develop the mental imagery, imagination, and ability to tell a story," he said. "The capacity to dream is linked to cognitive and brain development." "Gradually, my motivation changed from wanting to understand people through dreams to wanting to develop a really good theory of dreams," said Domhoff, who took advantage of a university early-retirement incentive program in 1994. Stepping away from the day-to-day obligations of teaching and campus service at the age of 57 freed him to focus his full attention to dreams. "These have been the greatest intellectual years of my life," he said. Today, Domhoff's hope is that his neurocognitive theory will be seen as "one piece of the puzzle of any really good theory of the mind. I want this to be the dream piece." Bill Domhoff's recent lecture, "Seven Surprising Discoveries That Changed My Thinking About Dreams."